It is a strategy that is increasingly being adopted by businesses when they first understand the power of Google reviews, but it is almost always wrong. Here we explain why. So: a business can embed a link to their Google knowledge panel into their website that allow potential customers (and anyone else) to read and post reviews to Google. This will make the business fully compliant with the CMA regulations. Anything less than that (showing Google reviews without a link to post a review, embedding a link into the business's email signature block etc., is not compliant). Now that is the first essential first step - compliance with the law - dealt with. Now we move on to the commercial advantages and disadvantages of adopting a compliant 'direct to Google' reviews strategy and compare that with the benefits of professional review management. Moderation is the act of having each review read, pre-publication, to ensure, as far as is humanly possible, that reviews which contain errors of fact or comments likely to mislead any future readers are addressed pre-publication. By definition, if your business is inviting customers to post direct to Google (without cherry-picking or gating, naturally) you run a significant risk that inaccurate, and therefore damaging, reviews will be posted. Here is just one very simple example of a Google review where the business has no way of knowing who wrote it or, indeed, if the person who wrote it was, or is, a customer. The review does not contravene any of Google's T&Cs, so it remains visible in every Google search to potentially deflect any future customers, perhaps to their own detriment as well as to the detriment of the business. The score will, of course, be factored in to the business's overall Google score, driving that down as well. This would be fine if businesses had some way of having such reviews removed from Google, but currently the only reviews Google will remove - and the appeals process is lengthy - are those that contravene Google's own terms & conditions, and those make no provision for the removal of reviews that are the subjective opinion of a reviewer, even where that opinion is demonstrably inaccurate or incorrect. Unfair? Undoubtedly. True? Absolutely. Every review written through HelpHound, however, is moderated by a professional moderator. If one of our moderators considers that the content, in whole or in part, of any review is likely to be factually inaccurate or misleading in any way they will refer back to both the reviewer and the business under review. The reviewer always retains the right to have whatever review they wish, as inaccurate or misleading as that may be, posted to the business's own website, but long experience has shown us that reviewers welcome our moderators intervention as much as our client businesses do; they may be happy or unhappy, they may have written a 5* review or a 1* review, but in almost every instance they are as concerned not to publicly post inaccuracies or content that might mislead a fellow consumer as we and our client business are. 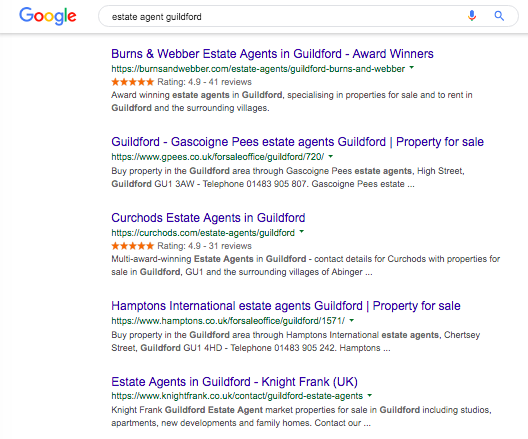 You will notice something in all these examples - and just about every HelpHound client is the same - they have more reviews on their own website than they do on Google. That is for a very simple reason: they invite their clients to write a review to both, either one at a time or both together, but not everyone is able - or willing - to write a Google review. Everyone, though, providing they have an email account so we can communicate with them, can write a review through our software to our clients' websites. When you become a client you benefit from years and years of experience here at HelpHound. We don't want to sound immodest, but we invented the term 'review management' and we are proud of that. We are not a reviews site, we are not reputation managers, we provide full-time ongoing professional advice to our clients on all aspects of review management.